Autumn is upon us and I couldn't be more happy. After a sweltering summer I'm embracing the cooler weather and enjoying all the beautiful colours autumn brings - muted tones tinged with a bit of fire, like the last burst of summers warmth leaving an impression on the world. 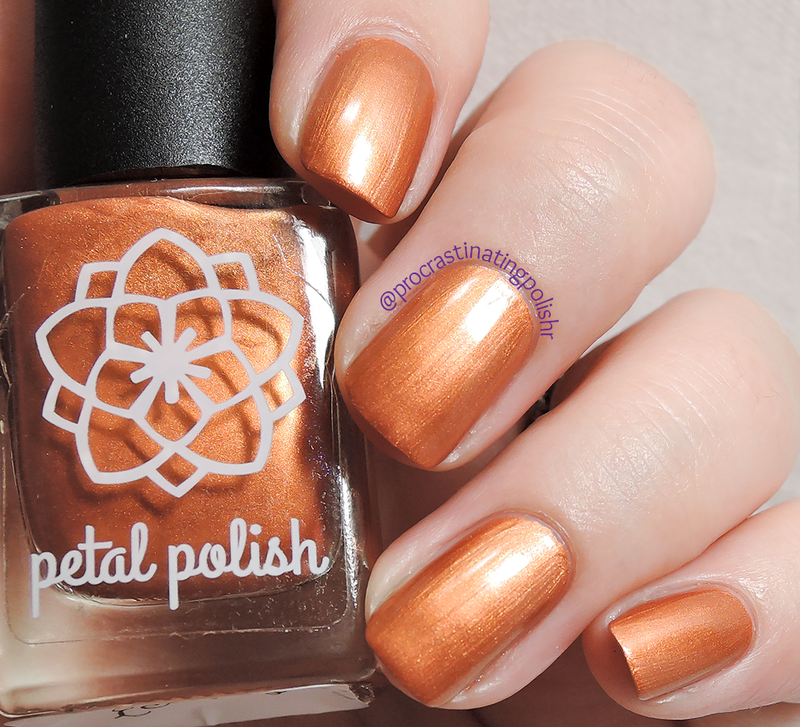 Today I have the first autumn collection I've tried this season courtesy of Petal Polish. 6 Shades of May is inspired by May (duh) here in Australia and all the stunning colours of the seasons blooms. 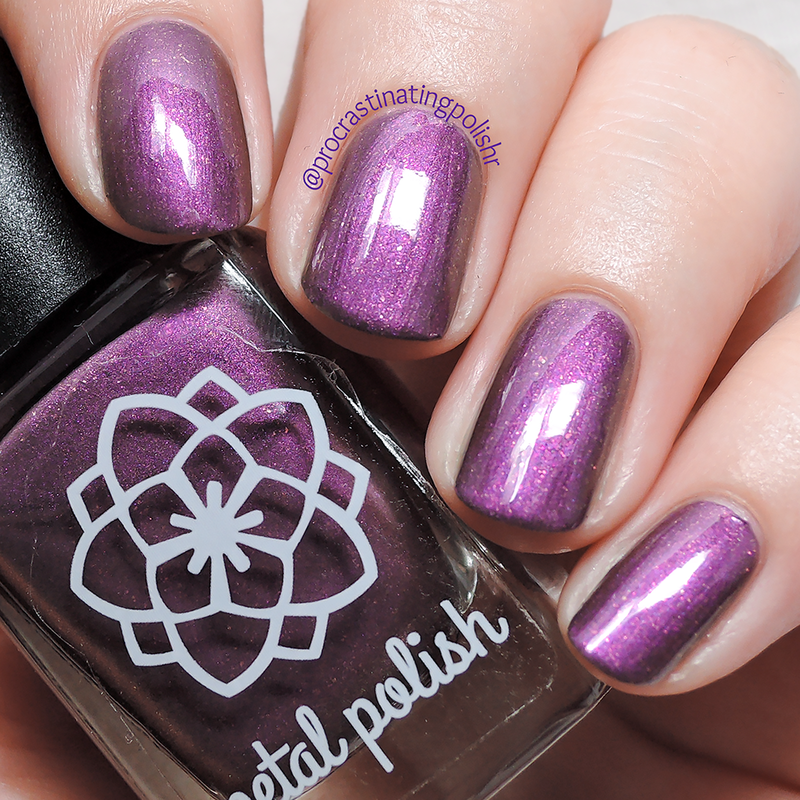 Beautiful purple with flashes of pink, gold, and copper. I loved the slightly muted nature of Anemone - there's a beautiful grey tone in there that really sells this polish for me. 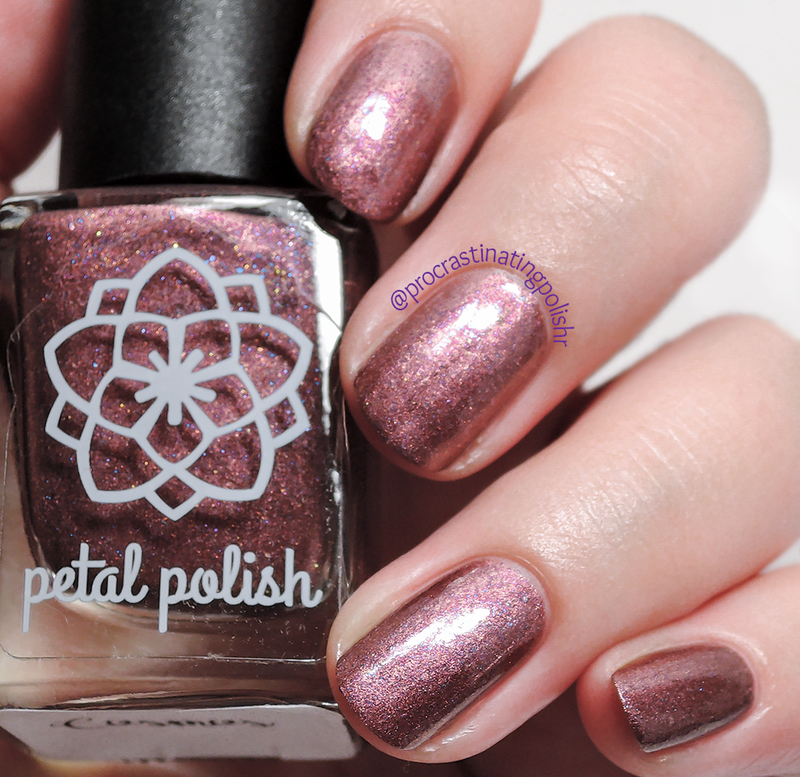 Fun fact: the Anemone is the official flower of Petal Polish! 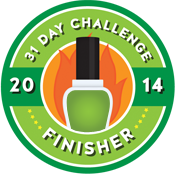 I really liked the application of this polish, smooth and easy to use and opaque in 3 thin coats. The finish appeared slightly brushstrokey but Christine has since worked some magic on this one to smooth out those brush strokes. I'm wearing 3 coats and top coat. Liquified copper, the perfect encapsulation of autumn to me. I think this is the first true foil I've seen an indie do and it's excuted well. There are some hints of gold shimmer that give this a bit of extra life. So beautifully autumnal! The formula is silky and highly opaque - careful hands could get away with one coat, I've worn two in my swatches with no top coat. As is the nature of a foil, the finish does leave some brushstrokes but working quickly with a light hand will minimise any streakiness. Dry time is good, touch dry in about 5 minutes. My favourite thing about Autumn Leaves? It stamps! Really well! 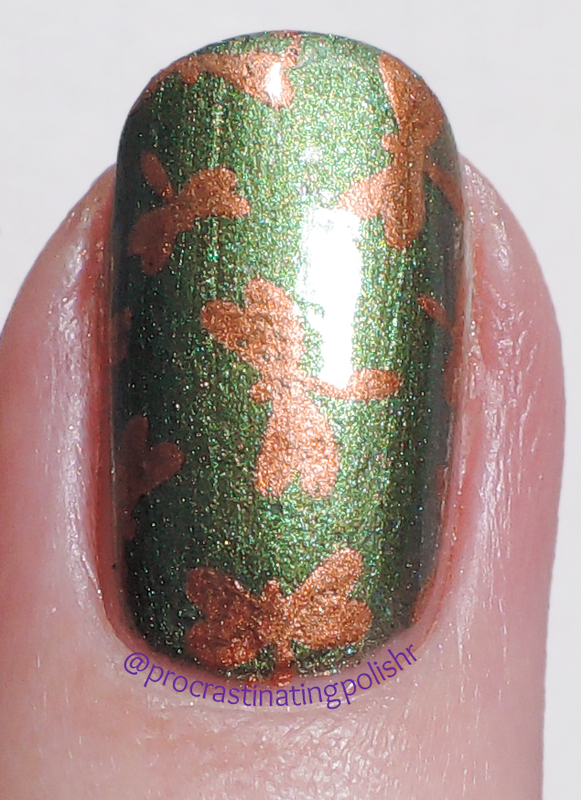 As well as any stamping polish I've used, check out the cute perfect dragonflies I did over the dark green Cypress. Christine says Cosmos is "inspired by the deep burgundy hue of the 'Cosmos Atrosanguineus' flower which flowers in May". On the nail this reads a range of shades depending on the lighting and angle, but mostly I found it to have an elegant tinge of rosy hues. You'll see flashes of gold, purple and crimson - I selfishly suggested this one could use some more shimmer and Christine happily obliged so you will get something with a bit of extra pizazz. The formula was nice - thin but very easy to work with. 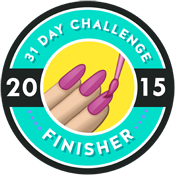 It's beautifully opaque in two coats, my swatch is two coats and top coat. I found the wear time was good with only minimal tip wear after 3 days - not a chip in sight on either hand! 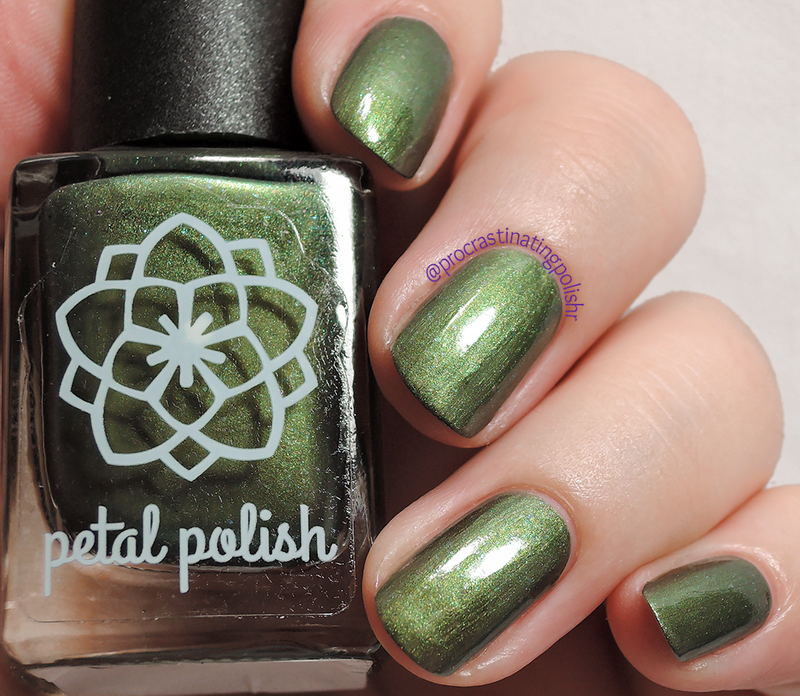 Divine olivey forest green with a metallic shimmer of green and gold, and micro pink and blue flakes. This colour made my day! I've been hanging for a nice olive toned dark green and this is spot on. The flakes are tiny and subtle just adding a little bit of interest to the finish. The formula was similar to Anemone, but only needing two thin coats and top coat. Christine has also worked on reducing the brushstrokes in this to get a smoother finish - she definitely took all my feedback like a champion and really seemed to want to deliver the best polish possible for her customers. Be still my beating heart! A delicious rich chocolate brown with sparks of gold, pink and red. 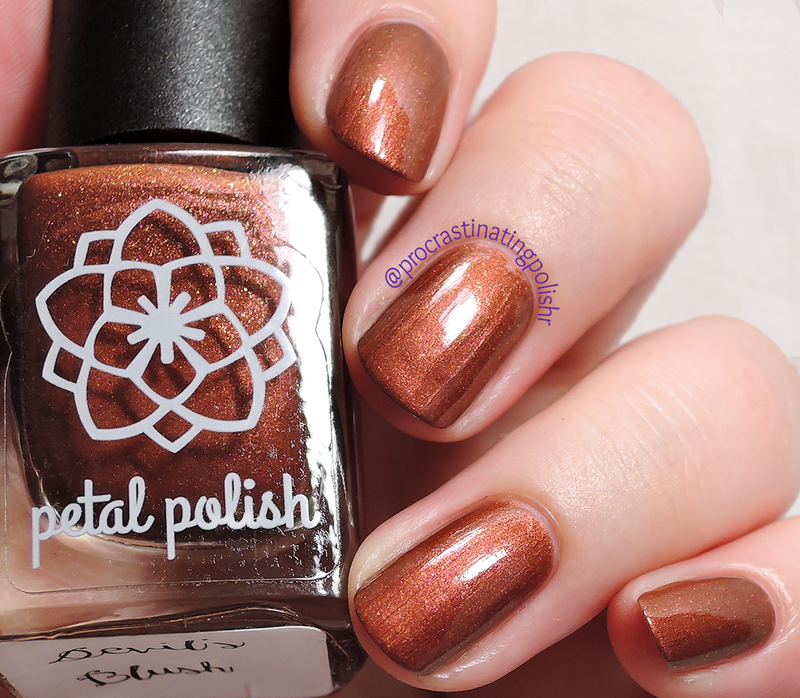 I adore this polish - I squealed with joy applying it and I hope anyone who has hesitations about brown polish thinks twice after seeing this beauty. So rich and luscious, I'm totally in love. Also, the name! Plants have the most brilliant names, I think Devil's Blush might be my favourite. The gorgeous formula only added to my love for Devil's Blush - so easy to work with and applies beautifully. 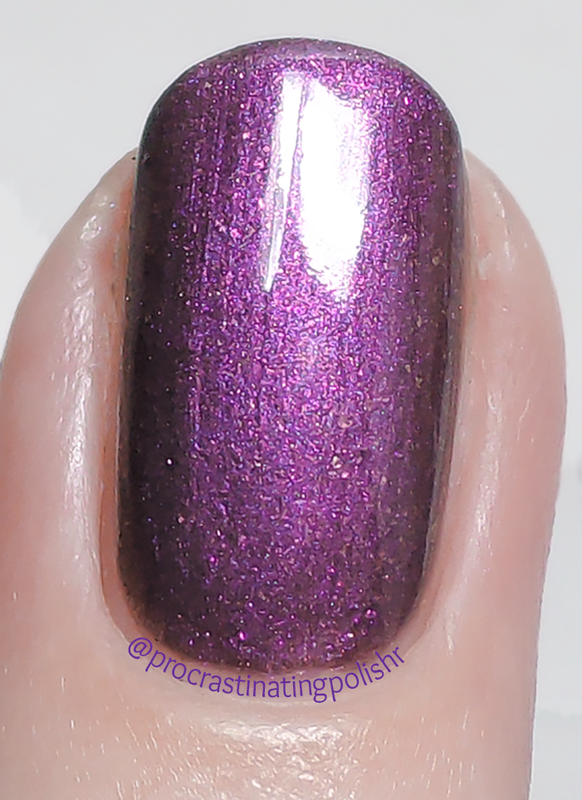 Only two coats required (with top coat in my swatches) for full opacity, and a lovely smooth finish. Stupidly I used a cheap top coat over this and it streaked but I assure you they were not visible pre-cheap top coat! 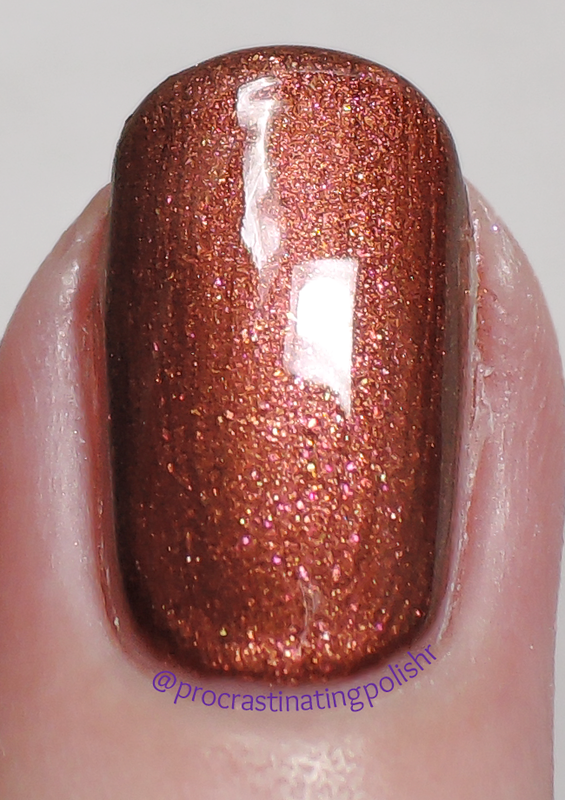 Another slight chameleon depending on your lighting, Emilia is a warm orange leaning red with a cool shimmer and micro flakies giving hints of copper, orange and some bonus red. Inspired by the Tassel Flower which blooms in May, vibrant red with orange tendrils. 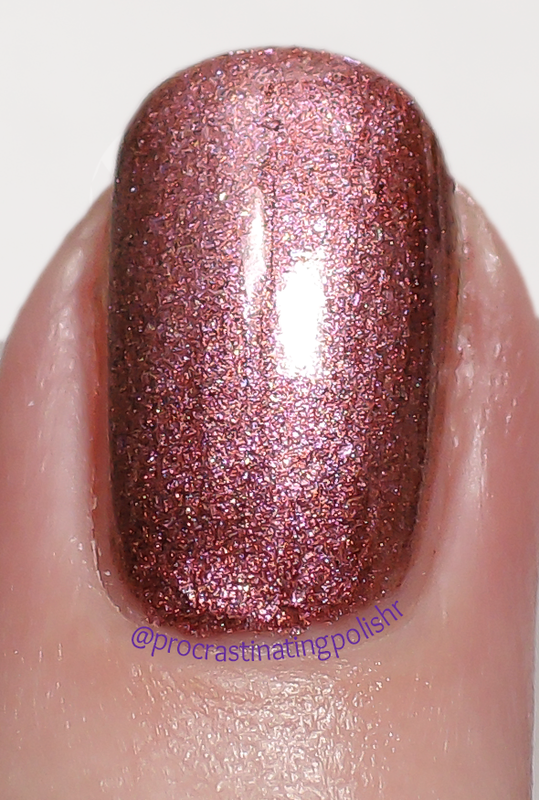 I initially had some issues with the formula but Christine totally reworked and refined this polish to give it a lovely soft finish while still giving the punch of shimmer. 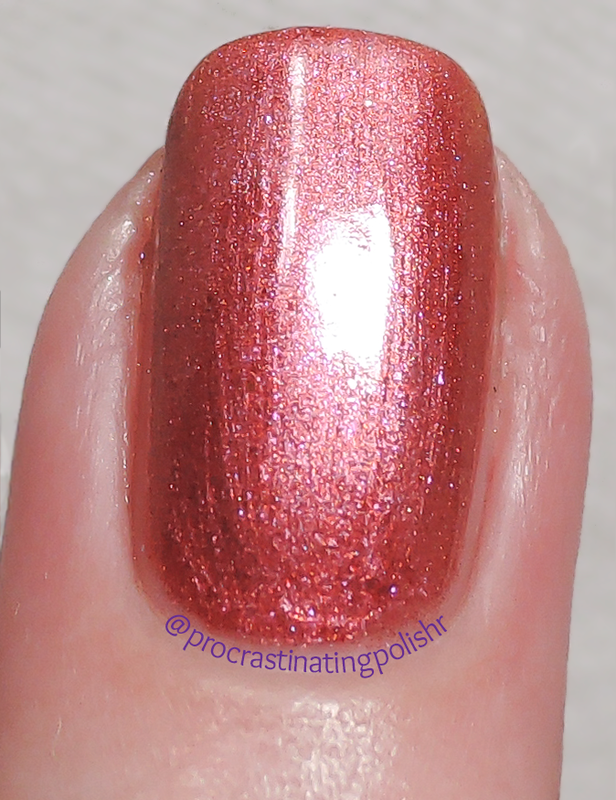 This required three thin coats for opacity, and though I have worn top coat in my swatches, I preferred it without. I found top coat made the finish a little too icy and I preferred it warm. The formula is smooth and easy to work with, and dried quickly. 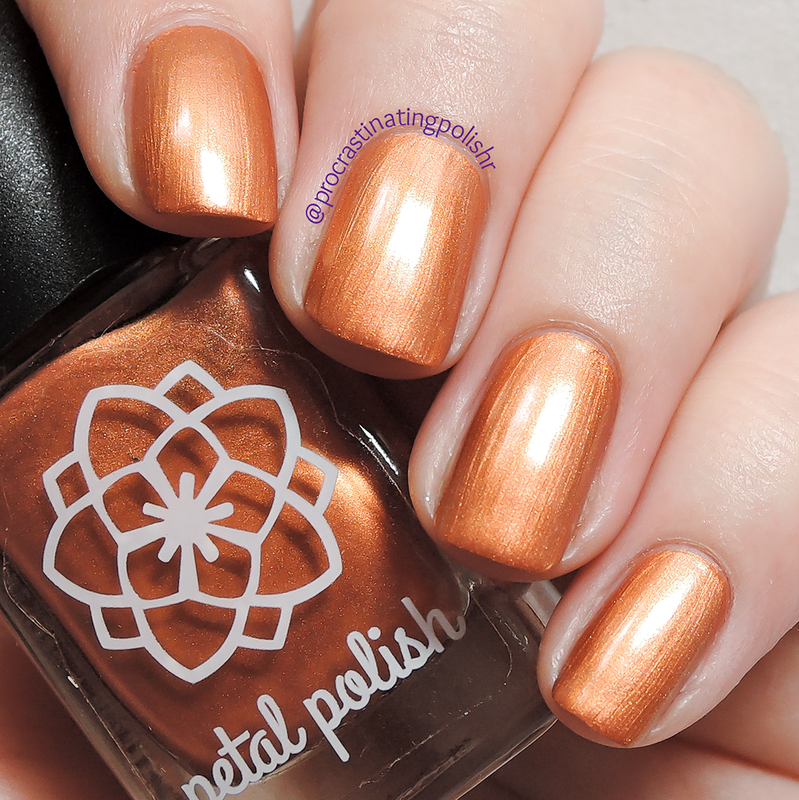 Overall I was really impressed with this collection - the range of colours just screams autumn to me, and the easy formula on all polishes is fantastic. Along with gorgeous polish, I can't recommend Petal Polish highly enough for Christine's fabulous customer service. I mentioned earlier about her taking my feedback well, and she truly wanted to hear my warts and all opinion and was quick to remedy issues. I'm certain that she would provide outstanding customer service in any situation. 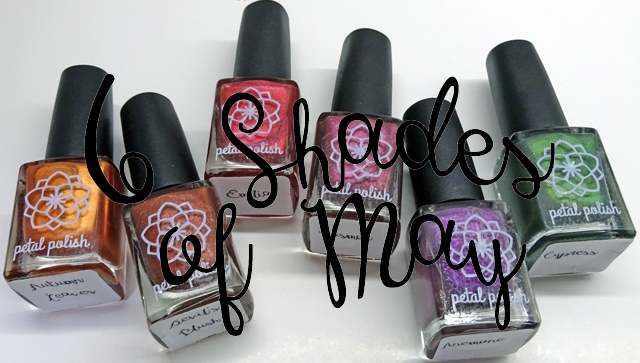 6 Shades of May will be available to purchase from 8pm on Tuesday 28th April via Petal Polish. 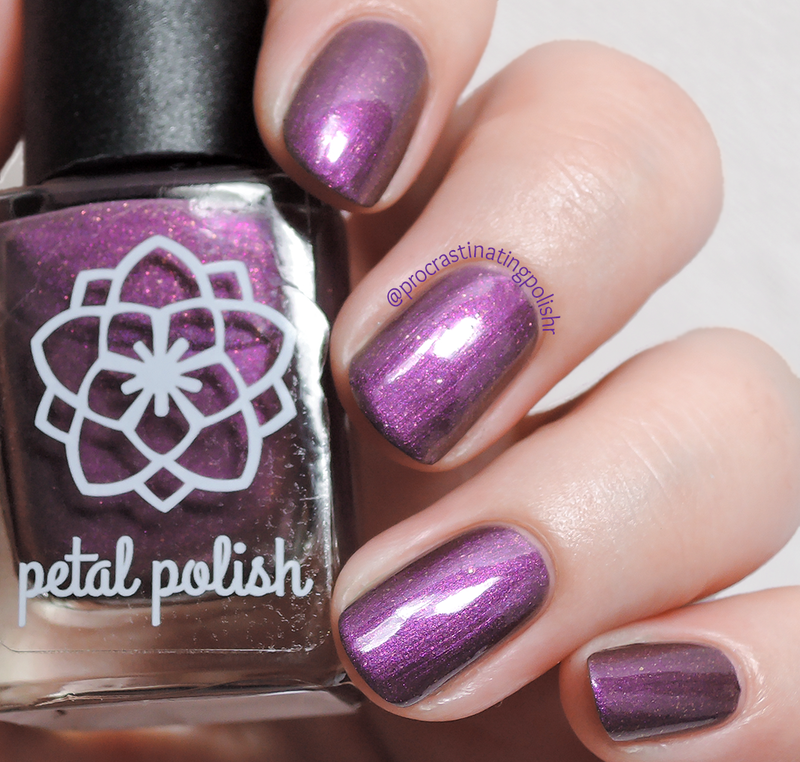 You can find Petal Polish on Facebook, Instagram and Etsy. 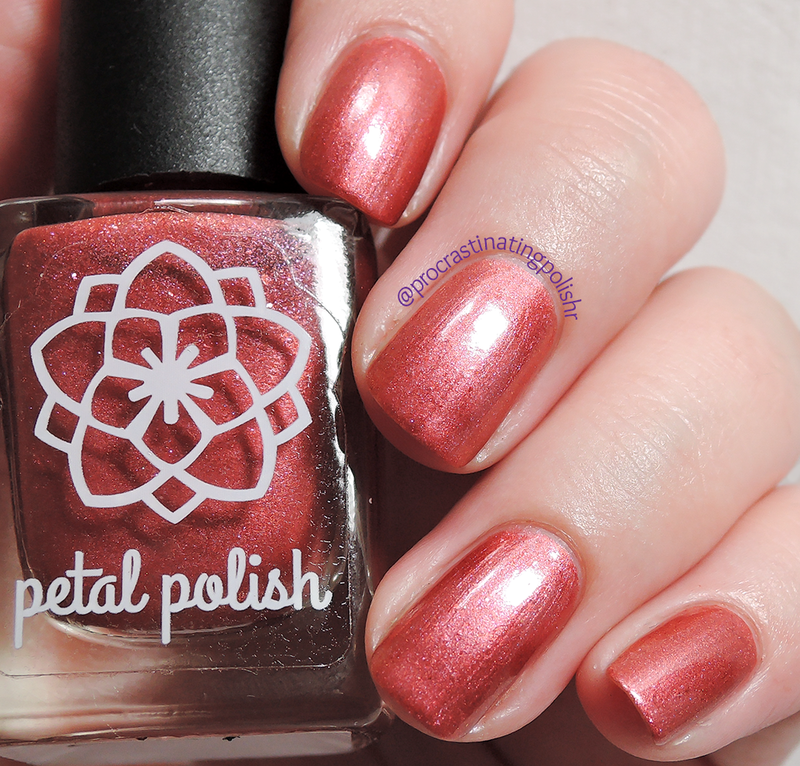 *The abovementioned products were provided by Petal Polish for review, which in no way affected my opinion of the product. Please refer to my Disclosure page for more information.